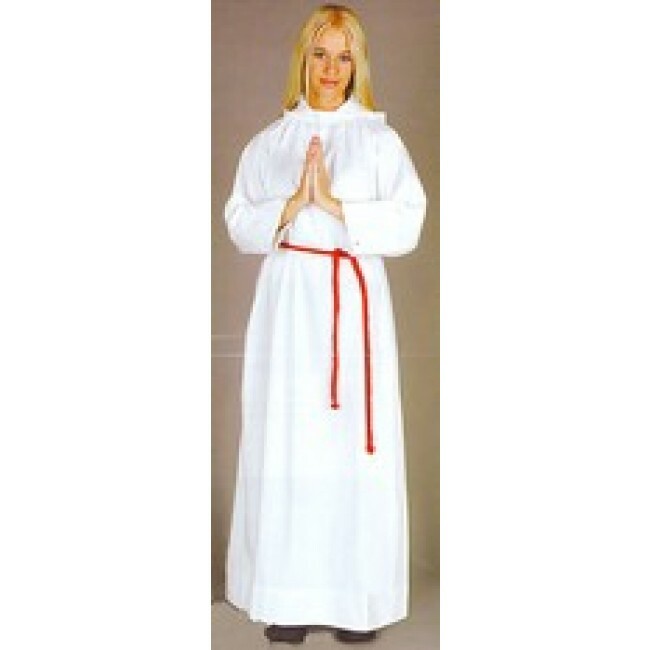 Altar Server Alb is carefully crafted by MDS in very fine 65% polyester and 35% cotton blend fabric. Extra soft ( not see through) with a great fall and easy to care, machine washable. Seamless, cuffed sleeves, front and back, for rich quality. Two button closure, side slits for pockets, lined hood for better fit. Sized in even back lengths 36" thru 64".When ordering measure from the top vertebra to the top of the shoe. Comes with both red and white cinctures.